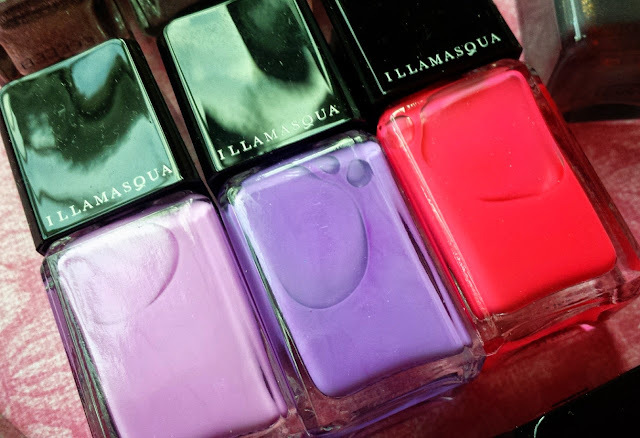 So, if you are a frequent reader of my blog, by now you will know that Illamasqua is leaving Canada, and the Bay is getting rid of all the merchandise that they can at 25% off. I think that their last days are around the end of September. 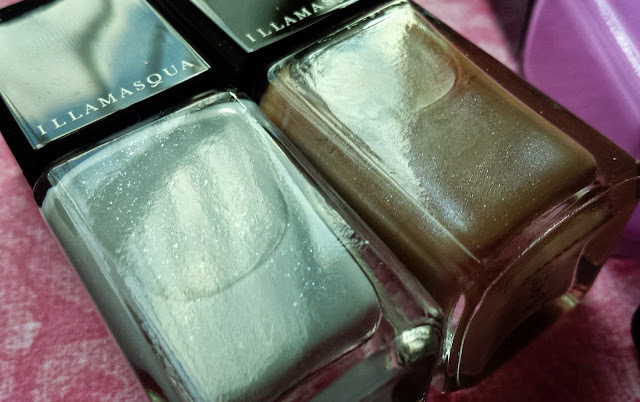 Anyways, being a nail fanatic, I had to stock up on their polishes because they are such amazing quality, I can go a week without these bad boys chipping and they are so incredibly pigmented. In addition!!! 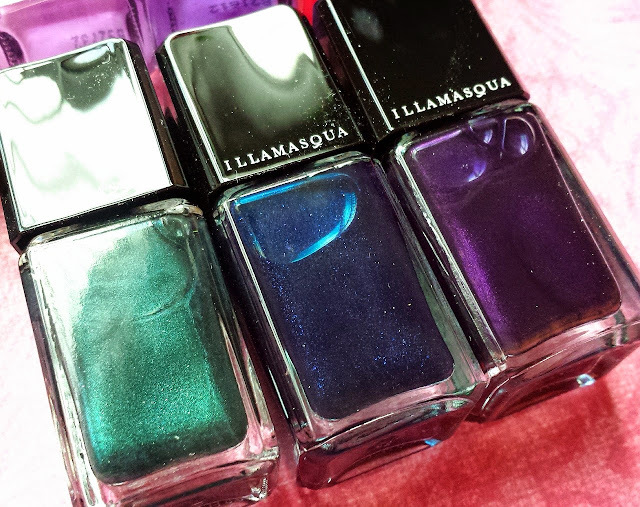 Their glitter polishes are actually REMOVABLE with regular nail polish and with quite ease. 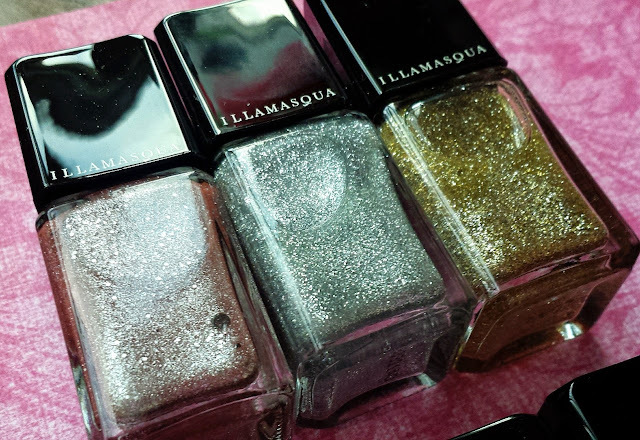 You don't have to use a huge amount of acetone, soak em, and try for dear life to scrape the glitter away. DOUBLE BONUS!! P.S. 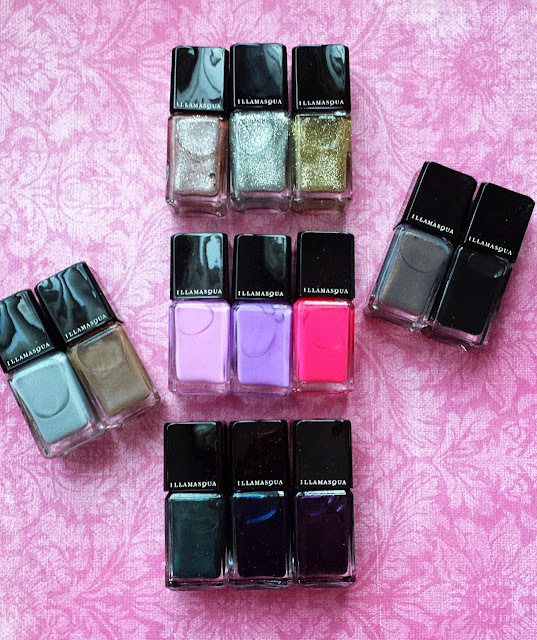 Please note that this is my collection of polishes, some were gifted to me, I didn't purchase all of them. Colors from Top to Bottom, Left to Right.